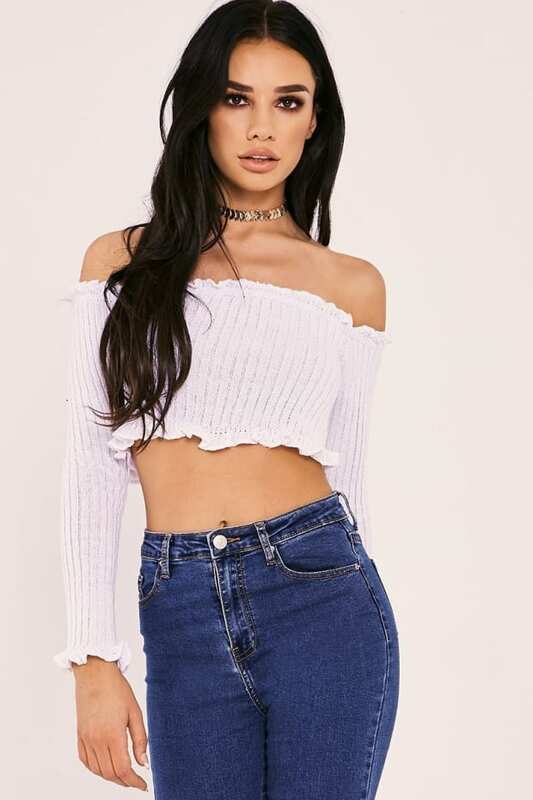 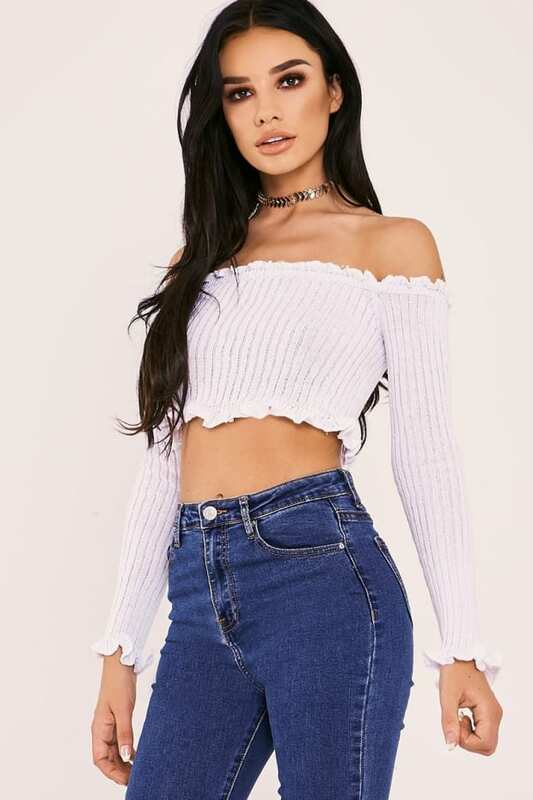 Make sure your new season wardrobe is on fleek this summer with this insane ribbed crop top! 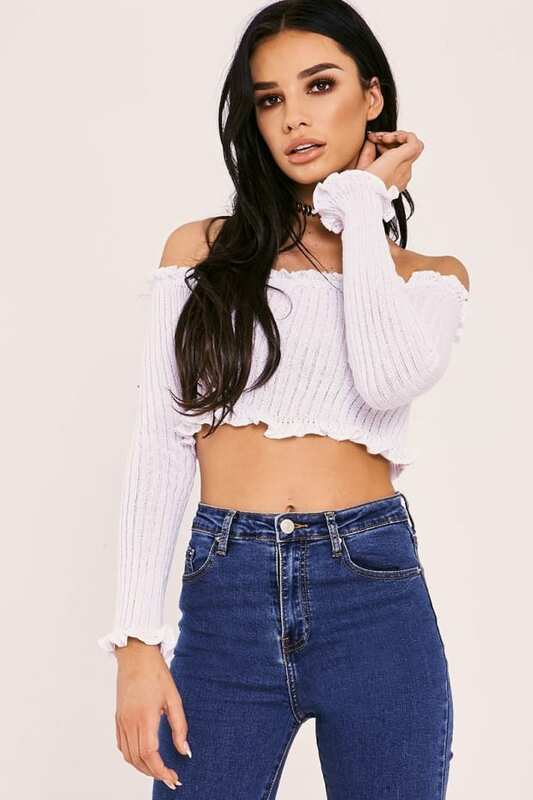 In an ultra feminine bardot design featuring long sleeves and cute ruffle detail, this will be your new go to for creating some fierce outfits! 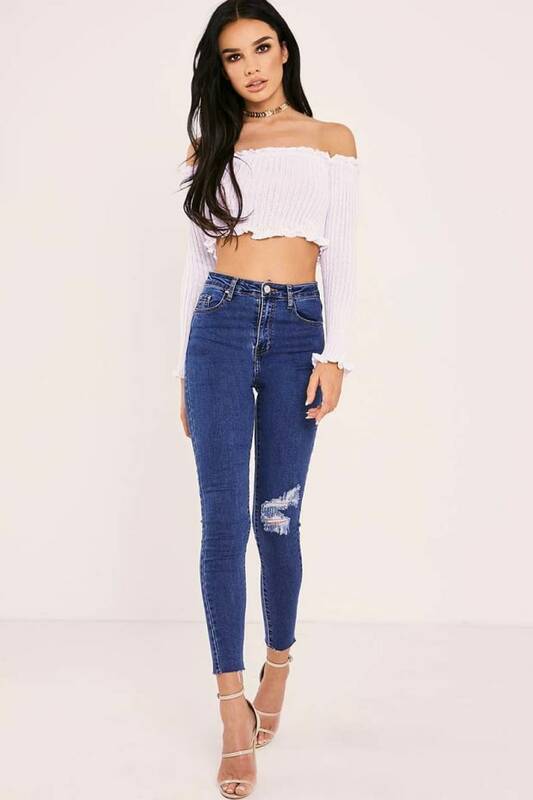 Team with some high waisted shorts and sandals for a knock out look!